Fire! Acrobatics! Energy! A mesmerising stage show set to surprise and delight. 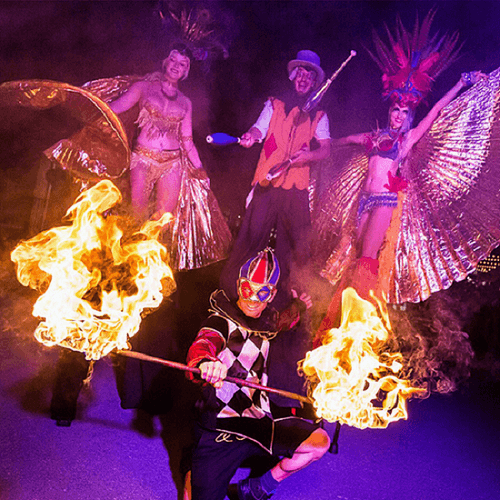 From high energy fire shows with spectacular movement,thrilling acrobatics, magicians, aerial performances and more. Prepare to be blown away every Friday and Saturday night!